Then came CineGear!!! Yeah!!! All of the booths I was most interested in seeing at NAB were at CineGear. I started in the two large sound stages and then made my way out into the backlot – there was literally something cool on every corner. If you get a chance next year – Check It Out!!! Here’s the scoop on my first real outing with the Canon 5DmkII. My friends in the Sam Morrison Band are playing a fund raiser to help support the cure for Diabetes. It’s a Harley ride called Rip’s B.A.D. Ride (Bikers Against Diabetes) held in Irvine each year. This year it’s on Sunday June 13th at Oak Canyon Park. The band felt that attendance needed a little push this year and asked if I would help them with a “quicky” PSA talking about the ride and American Diabetes Association’s cause — I said sure. The plan was to shoot kind of generic as they would be doing more from the road on their own. This is only one in a series of events they are playing this season and they want to do a video for each. I went with a background rag and some soft pattern light. I used a Diva 400 “lollipopped” over the lens and a pair of Lowel ViP pro-lights from the corners of the background stands as back lights. I am the “King of Flat” after all =) The pattern was a Mole “Teenie Weenie” shooting though a pattern cut out of some bead board from Michael’s Art Supply. We went 3200K on everything to make it look really warm and friendly. For the camera I set it at ƒ2.8 @ 1/30th 1080/30p. ISO was at 500 to give me some apeture fiddle room in case someone got squirmy. I put my Canon L 24-70mm ƒ2.8 zoom lens on as the catchall range for interviews. I used my Marshall V-LCD70XP on a Manfrotto arm as a local monitor – peaking really helps with the focus while recording and the false color filter is great for exposure tracking. I’ll keep the updates coming. Happy Memorial Day!!! Using a Manfrotto 577 Rapid Connect Adapter is the way to go. All my cameras are now universal to my tripods. And I can balance the cameras to any need. The audio from the built-in mic is OK for a scratch track to sync to. Although using a production mixer or an adapter like a JuiceLink or BeachTek is quite helpful. 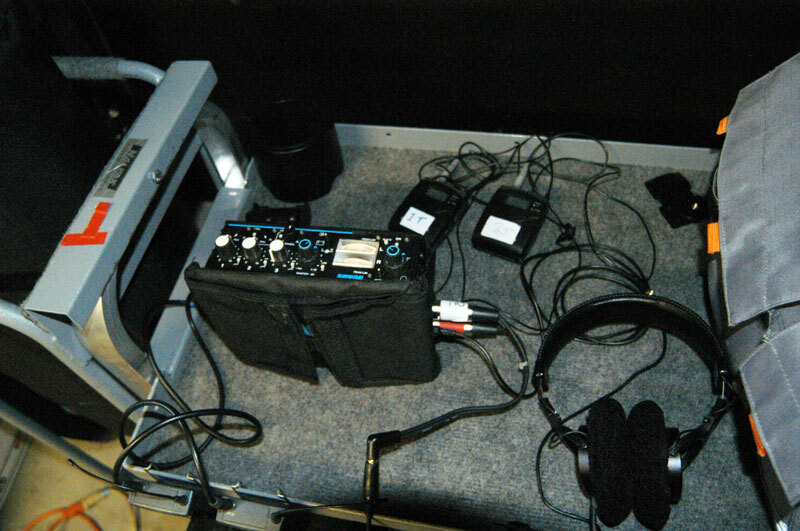 The digital audio recorded is only 10bit with a frequency range of about 300hz to 8khz. So use an external recorder when possible. I had some pretty good luck running my Sennheiser wireless receiver straight into the EXT MIC input in a pinch. A good mounting solution for your receivers is the BeachTek MultiMount 5D. If you are trying to connect your production mixer to the 5D HOSA makes a great XLR to stereo mini adapter. You just need to be careful with your gain staging – otherwise use one of the adapters I mentioned earlier to even out your microphone input levels. I am pretty well invested in Nikon and have a lot of Nikkor glass that I still like. I found a great F to EOS adapter from Fotodiox to allow me to use my lenses on my Canon. It is the consumer version around $30 and popped right on. To that I say…Right On =) I also bought an FD to EOS adapter for an older Canon FD 35mm ƒ2.8 lens that a friend gave me – works like a champ. It was around $40. 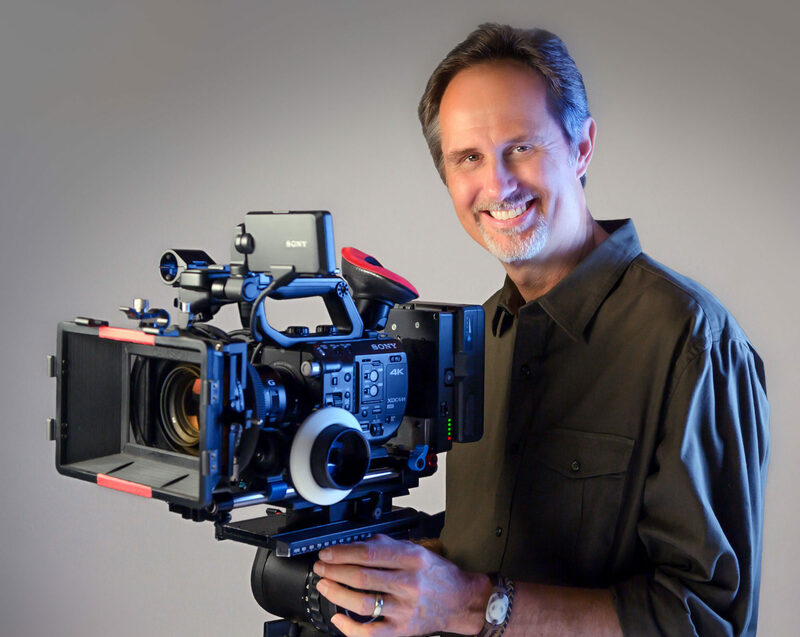 I recently had the opportunity to shoot a Jenny Craig video blog and I used my trusty EX3 and it worked like a champ. Easy in / Easy out… no tools required. My friend is the primary on the GIG but occasionally will send me to fill in. Very cool. 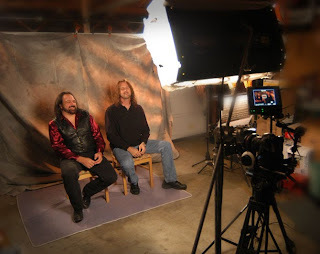 We shoot on sound stages, in homes and on location. 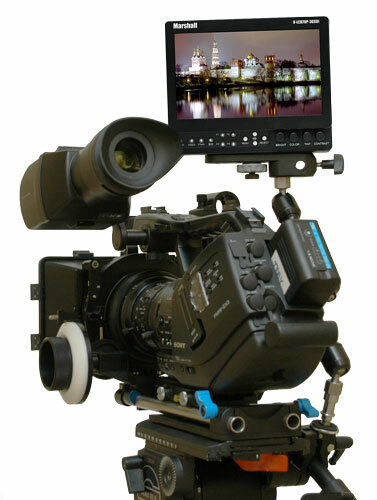 This camera is really suited for fast moving production. I am now typically shooting with KinoFlo Diva 400’s and some Lowel ViP Pro-Lights for interviews – again, easy in / easy out. They are lite weight, low power and low heat. The EX3 is such a light vacuum, the output of the Divas is sometimes almost too much. I have downloaded some of the new custom settings that people are coming up with to give a more “film like” look. They are really nice. When you combine this with a little color grading in post it looks terrific. 90mw B4B batteries on the back. I can run almost 4 hours per battery and the camera looks a little beefier in that config. If there is any concern about the “size” of the camera package I just add the matte box and FF system and we seem to be fine. Plus I like the added comfort of the FF and rails. My 5D Mark II has arrived !!! OK OK… So I held off as long as I could. 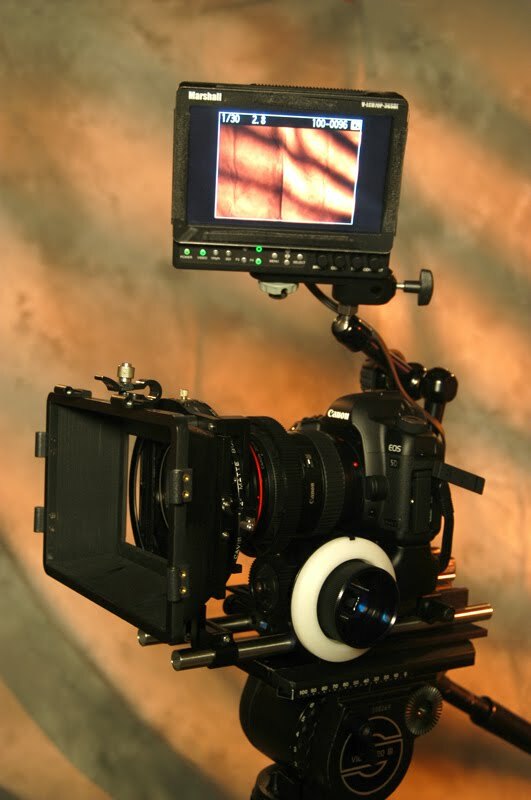 The first time I saw the photos of the all rigged out 5DmkII I thought WOW!!! Then I told myself I was just judging a book by it’s cover. It looks very cool — but it’s not ready for video yet. So I waited, patiently, with my EX1 and EX3 by my side. My trusty LETUS 35 Extreme always ready… Then it started happened. People I knew started asking for or using the 5D and 7D on their projects. TV shows started using them. Canon released the firmware updated for the 5D — now it was a whole different ballgame. Workable frame rates, better control over the sound (even if it’s just a scratch track in most cases) and Zeiss has adopted the EOS platform as a real entity. All hail the CP.2 lens set…where’s that winning lottery ticket…. I’m now into my third week of owning a 5DMKII. It took a week to figure out how to get it into video mode. My first subject – my big toe… Got almost a minute and a half out of that. Next it was on to real uses. I re-configured my RedRock rod system and V2 follow focus from the EX3 to work with the Canon 24 -70 2.8 L lens that I bought. Worked out the mount for my 7″ Marshall monitor and tracked down the elusive spare Canon LP-E6 batteries. I was able to make my CA Vision matte box just fit the tall form factor of the 5D with the battery grip on it. I’m off to the races — or in this case an art showing for a friend to shoot a couple of interviews for the event. They turn out really pretty good considering the room was packed and I used only the light from a hanging PAR 64 blasting the art on the walls. I put the interviewees about 4 feet in front on the art and me about 3 feet in front of them. Not your ideal ratio – but it’s what the room could handle. The DoF was not bad when I looked at the footage later. Important safety tip Egone… Just because you can go WFO with these lenses on the 5D and get everything really shallow – doesn’t mean you should. The first interview went great because the interviewee stood still — at ƒ2.8. The second person repeatedly leaned in to make her points. I didn’t think it was that far… but she fell in and out of focus slightly through out the interview. To do it over, I would set my focal plane more forward or shoot an ƒ4.0. Still a good first outing. I’ll keep you all posted. Should be a fun learning curve. Have a great weekend. To DIVA or not to DIVA… That was the question. I have been working with tungsten based lighting forever and just recently got into KinoFlos and LED technology. Wow what a difference. Each technology has it strong points. I still love the way my open face pars wrap around people and objects — but the flexibility of the Divas to conform to any situation is really great. The instant color change out and the dimming capability is perfect for almost everything. Went to the Newport Beach Film Festival yesterday. Saw 4 terrific shorts. I plan to post thoughts and experiences with various projects and gear. 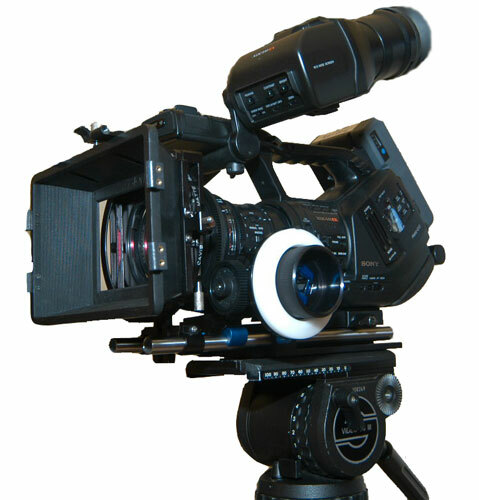 Everything from HDSLRs to Sony XDCAM EX 35mm lens adapters and beyond. I look forward to comments from others and varying viewpoints. This is my new CSS WordPress site. I’ll be adding to it over the next few months. Please check back for updates.